Our summer classes and day camps are now open for registration. Go to our Parent Portal and check out our summer class schedule by changing the session to Summer 2019. You can register in summer classes now. There is a $1 increase in class fees starting June 1st. Please note if you sign up for a summer class, you will be charged for June. If your plans change, and you are not able to come please notify us in writing by May 15th. If you are wanting to start with the team, please notify Caroline. If you have questions, please call (706-745-3325) or email mtngym@windstream.net. We look forward to having your kids join us!. Sign up online! Create a new account and enroll your kids today! You will receive an email when you have successfully enrolled your child! Regular Classes: For children in grades Kindergarten and up (must be 5 years old by August 1st). These classes meet one hour once a week. The students learn basic gymnastics on all events through various stations and instructional techniques. Students progress individually through skill levels. Pre-K: For children that will turn 5 years old after August 1st. These classes meet one hour once a week. Students progress individually through skill levels. Pre-school Classes: For children ages 3 through 5. 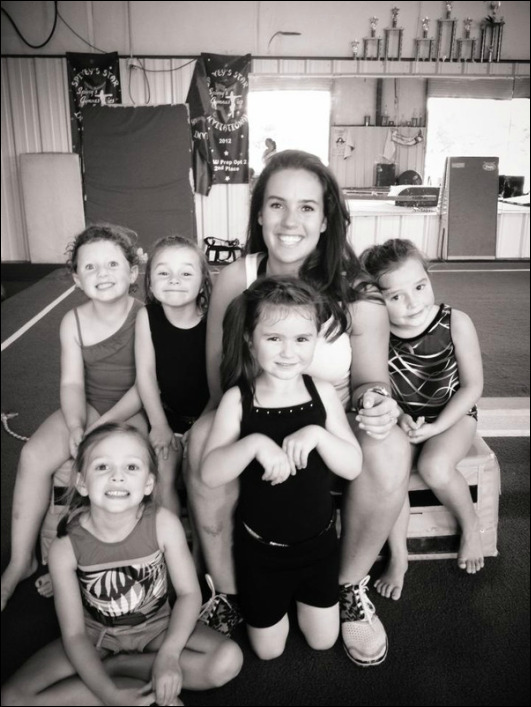 These classes focus on building large motor skill development and the beginnings of gymnastic skill. The classes begin with music to warm up the children’s muscles. From there the children move from station to station that is set up to develop different skills and covers all gymnastic events. Students can begin classes the month they turn 3 years old. Parent and Tot Classes: These classes are for two and three year olds and their parent/guardian. The classes teach large motor skill development and set up stations that the parents help the children through. The parents take part in the class with the children. The class meets for 45 minutes. Elementary/Middle/High School Tumbling: For students that want to learn how to tumble for cheerleading. Cheerleading jumps are also taught. The classes are split by grade level and the students are taught according to their ability level. The class meets for one hour once a week. 1 ½ Hour Class: Students taking this class must have passed skill level 1. The class meets for 1½ hour once a week and is for students of all ages. Competitive Gymnastics: The current competitive gymnastics team will begin competitions in September and finish in April/May. The gymnasts are placed on skill level teams. If you are considering joining the team, new members for the gymnastics team join in May.